Electric vehicles (EVs) are becoming increasingly ubiquitous. You can hear about them in the news, see them on the street, and (for many UC Davis researchers!) study them at work. But what is it like to actually drive one on a daily basis? Today, the UC Davis Policy Institute for Energy, Environment, and the Economy, the UC Davis Institute of Transportation Studies, and Cool Davis are launching “EV&Me”, a blog intended to answer that question. EV&Me is a platform for owners and drivers of all-electric vehicles and plug-in hybrid electric vehicles to relate their experiences—the good, the bad, and the funny—of driving electric. The blog showcases the many different types of EVs already on the market and on the roads today. It also emphasizes that EVs can fit into a diverse set of lifestyles: there are now electric minivans for families, two-person EVs that are easy to park and drive around a city, and extended-range EVs capable of covering long distances without a recharge. In addition, EV&Me serves as a resource for prospective EV buyers to learn more about what it’s like to drive electric, and to get tips and advice for successfully transitioning from a conventional car to an EV. The EV&Me launch coincides with two other events celebrating electric vehicles. September 8–16 is National Drive Electric Week, a nationwide celebration to heighten awareness of the benefits of EVs and their widespread availability today. And on Saturday, September 15, Cool Davis and the Davis Electric Vehicle Association are partnering to host EVs@theMarket in downtown Davis. This event provides an opportunity for people to get an in-person look at more than 20 EV makes and models, to test-drive EVs from more than 10 vehicle dealers, and to attend workshops on a range of EV topics. EV drivers and owners wishing to be featured in an upcoming EV&Me post can self-nominate by filling out this form. Note that the blog is not limited to Davis residents—nominations are welcomed from all over! EV drivers and owners are also encouraged to share their stories using the hashtag #EVandMe. 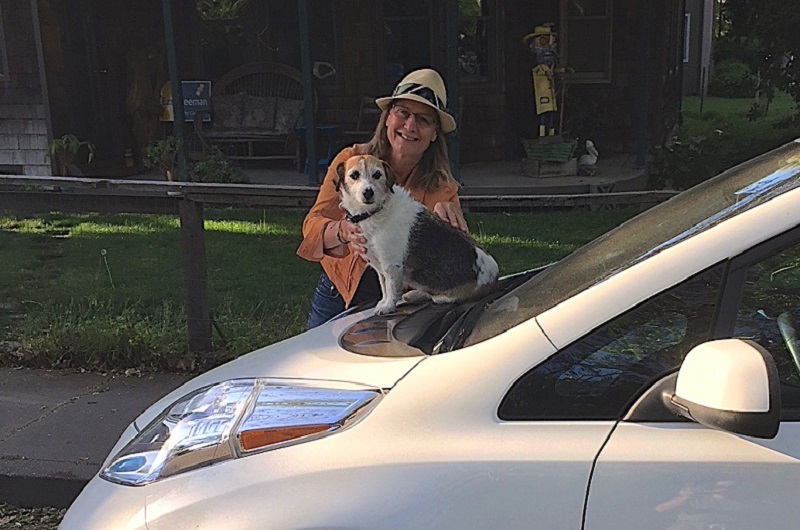 Click here to visit the EV&Me blog. EV&Me was created by Hannah Safford, Researcher for the UC Davis Policy Institute for Energy, Environment, and the Economy. The blog is located on the UC Davis Institute for Transportation Studies web page. Browse on over for instructions on how to submit your EV story or get started right here!